Spoilers Will you challenge yourself or play casually? Spoilers New Pokémon Games Announced! Spoilers [Spoilers] Which version will you choose? Spoilers [Spoilers] Which starter will you choose? Featured Valentine's Day Festivities throughout the week! Let's Go Let's Go Pikachu and Let's Go Eevee Release! 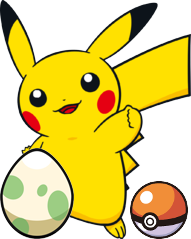 Fanfiction Writers, How do You Decide When to Evolve a Pokemon?